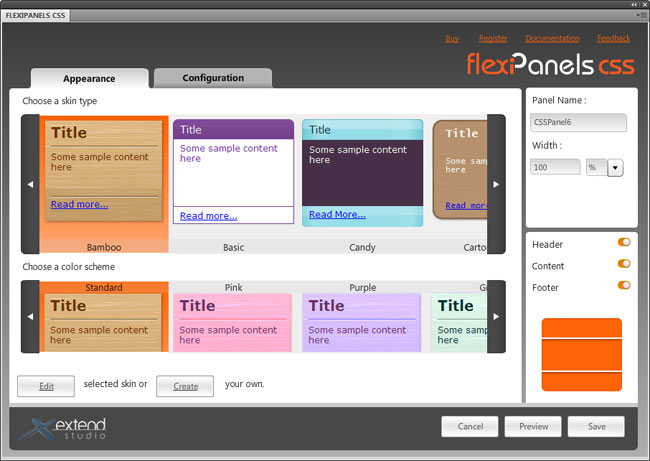 FlexiPanels CSS for Dreamweaver 1.2.1 - Download Win Apps. FlexiPanels CSS is a Dreamweaver extension for CSS rounded corners. With FPCFD you can start from a layout picture from your designer or implement any of the 30 ready-made panels to create rounded corner CSS boxes without writing manual code!